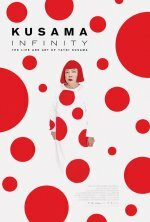 Kusama - Infinity release date was Friday, September 7, 2018. This was a Limited in theaters release. The incredible life journey of the top selling female artist in the world, Yayoi Kusama. Kusama overcame impossible odds to bring her radical artistic vision to the world; now, her installation Infinity Mirrored Rooms sells out globally and she prolifically generates new work every day.